WASHINGTON, D.C.—House Republican Whip Steve Scalise (R-La. ), Republican Leader Kevin McCarthy (R-Calif.), Republican Conference Chairwoman Liz Cheney (R-Wyo. ), and Rep. Ann Wagner (R-Mo. ), who introduced the Born-Alive Abortion Survivors Protection Act, are calling on House Democrats to sign Whip Scalise’s discharge petition and let us vote on this life-saving legislation. Only 218 signatures, a simple majority, are needed for the discharge petition to be successful and force a vote in the House. 21 Democrats must join Republicans in this effort to move this bill to the floor. Three Democrats have already co-sponsored the bill. 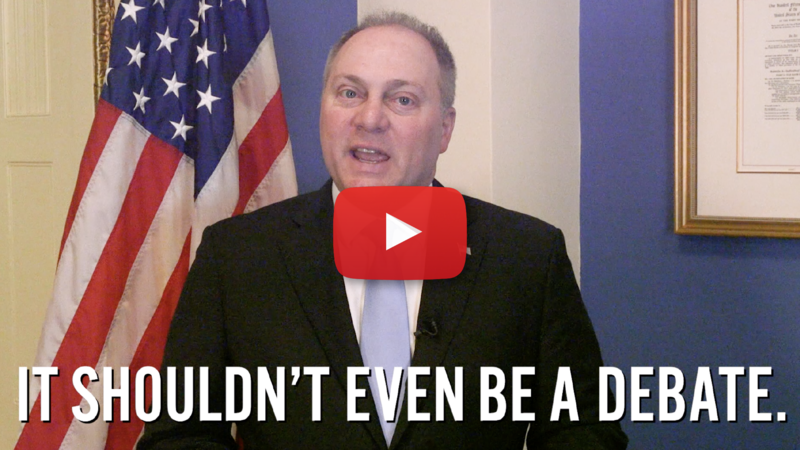 Click here or below to watch as these Republican leaders call for all House members to sign Whip Scalise’s discharge petition and #LetUsVote to #EndInfanticide.